I began my career with Carcare Motor Engineers in Glasgow where I completed apprenticeship and subsequently was there for around 5 years. I moved to Wales for around 1 year work on HGV's. I continued to work on HGV's having stints with both DAF & Mercedes main dealerships. 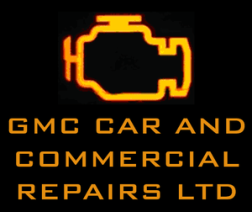 I step-up my own business in 2017 trading as GMC Sales & Repairs. I operate a fully mobile service catering for all makes/models & repairs. George is great communication and very polite and courteous . Great job on my car I am one happy lady. I spoke to George on phone after a mix up on web site I put wrong number in . George was very helpful and check van over checked body ebbing and condition . Positive to endorse and recommend George . Also George repaired bonnet latch after we ordered incorrect cable and was honest to refund the cable back to us.We would have been none the wiser. Planning to ask him to quote for job next month re jammed car seat.